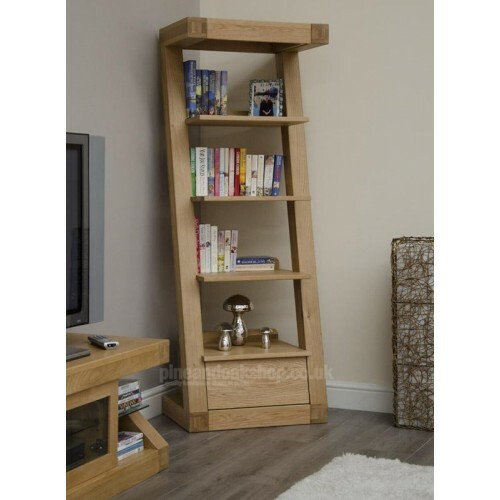 The Z Oak 1 Drawer Narrow Bookcase is from a range of modern style designer furniture which is constructed using traditional techniques from the finest quality European oak. 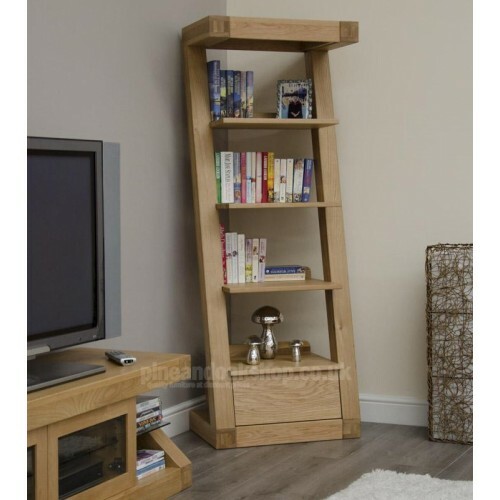 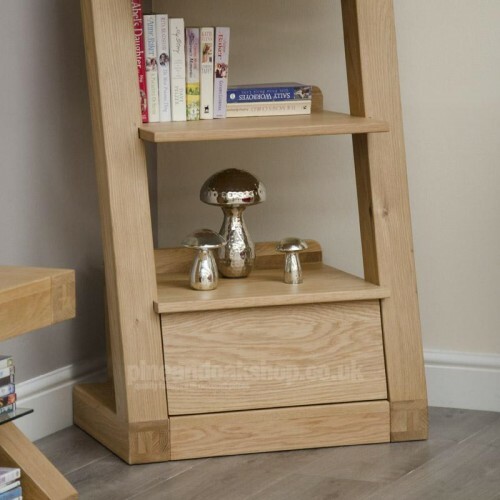 This interesting style of bookcase is in a Z shape which supports its own weight and can be a real showpiece in any room, including living rooms, office, bedrooms, dining rooms or hallways. 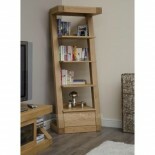 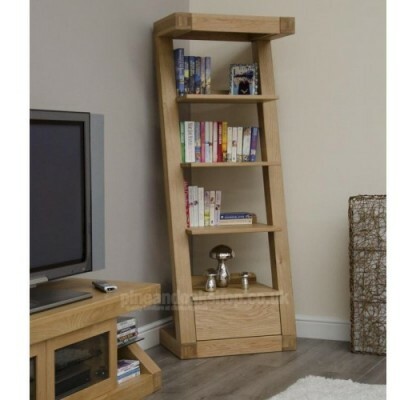 With 4 large shelves and a handy drawer at the bottom, this z oak bookcase promises both practicality and style.